TIRANA – President of the Austrian National Council H.E. 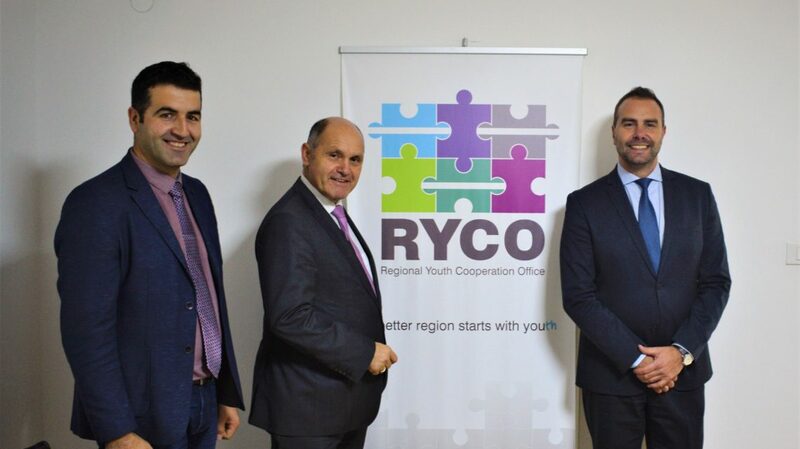 Mr Wolfgang Sobotka met with RYCO Secretary General and Deputy Secretary General, Mr Đuro Blanuša and Mr Fatos Mustafa on Tuesday in the RYCO premises. 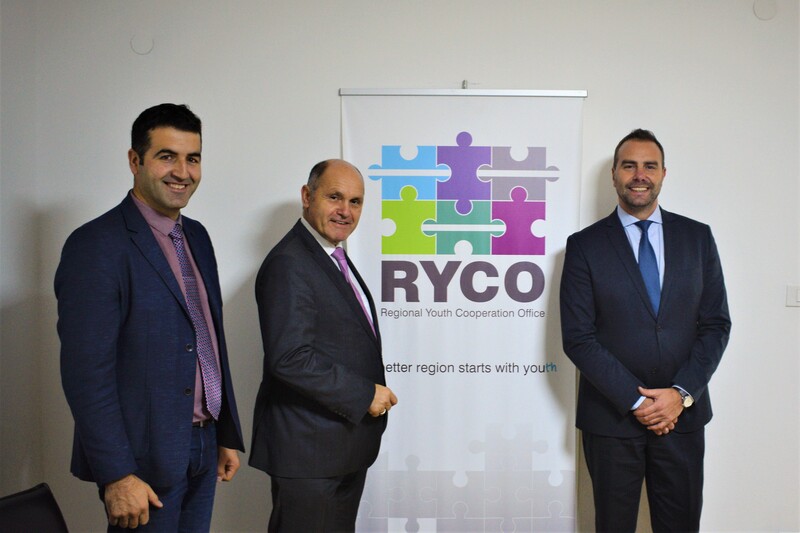 They discussed the work of RYCO as well as the Austrian support for the organization’s work. RYCO high officials presented the work of the organization since its establishment as well as the results of our activities implemented in this period. Moreover, they underlined the support provided by the Austrian government in the whole process of the establishment of RYCO as the government is one of the key actors in the Berlin Process. Mr Sobotka underlined the importance of the initiatives in the region such as RYCO since they are showing that regional cooperation is necessary and possible. Furthermore, he praised the RYCO’s focus on youth issues because of the need to strengthen their cooperation and skills in the region. The president of the Austrian Parliament concluded by expressing the will to continue supporting RYCO as well as introducing new modalities of direct support. Together with Mr Sobotka, the meeting was attended by Austrian Ambassador to Albania H.E. Mr Johann Sattler, Secretary General of the National Council of the Republic of Austria Mr Harald Dossi, Advisor on Foreign Policy of the President of the Austrian National Council Mr Florian Korczak, Deputy Head of the International Relations Department of the Council Mr Lukas Mussi and the representatives of the Council’s Public Relations Department Mr Andreas Grossschartner.